The excellent Skoda Karoq is a well-priced small SUV. This is the all-new Skoda Karoq which is the firm’s new SUV and effectively replaces the popular Yeti. The Karoq sits below the Kodiaq and will have an eye-catching price for the entry level model of £20,875. There’s a lot of equipment including comfort and safety features in the three trim grades. There are four engines available for the Skoda Karoq including two diesel and two petrol units with outputs that range from 115 PS to 150 PS. The engines are mated to either a manual box or the option of a seven speed automatic transmission. The entry level model comes with 17 inch alloy wheels, dual zone climate control, privacy glass, pedestrian monitor and a driver fatigue sensor. The next model up, the SE L, comes with a larger alloy wheels, satnav, keyless entry, heated front seats, start-stop as well as front rear parking sensors, rearview camera and a colour multifunction trip computer. The Edition trim is the range topper and owners can enjoy panoramic sunroof, leather upholstery and metallic paint. 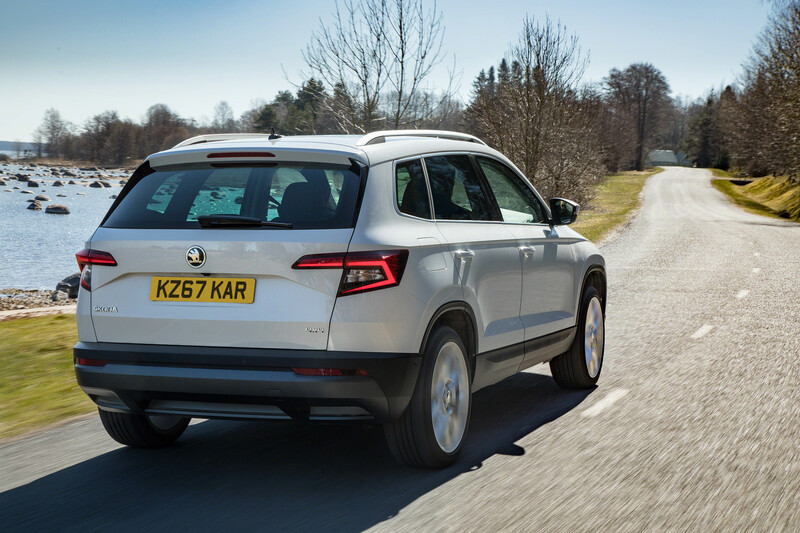 The Skoda Karoq Edition also has a satnav system with a larger touchscreen display that utilises gesture controls, ambient lighting and an electrically operated boot. Safety features on the Edition include blind spot detection, lane assist, rear traffic alert and traffic sign recognition. Indeed, there’s a lot to attract potential owners and it’s set to be a reasonable car to run for its economy. 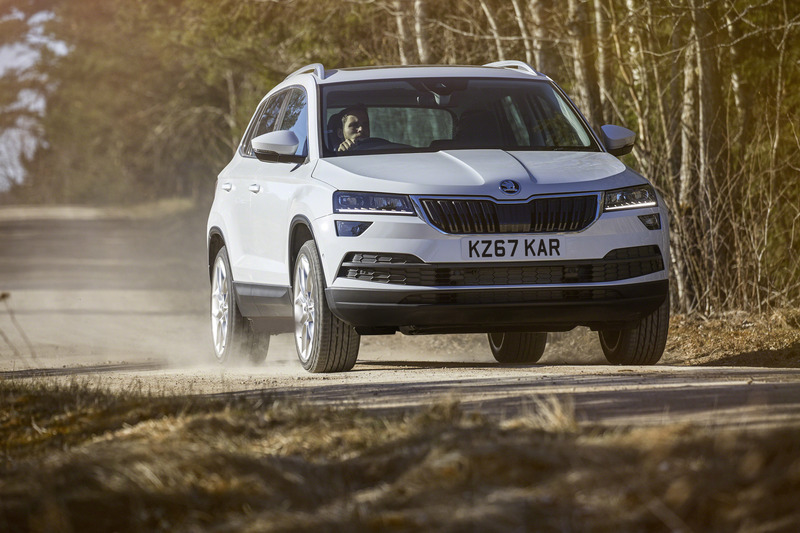 Skoda says it has ambitions for the Karoq which will see the model line-up being extended including a superfast version, much like the Octavia vRS. The new SUV also has a choice of driving modes as well as driving chassis control on some variants and some models also come with electro-hydraulic suspension to boost agility and comfort levels. The Skoda Karoq is available to order from early October. This entry was posted in Car Leasing, Cars, Crossover Cars, New Cars and tagged Skoda Karoq by Steve Lumley. Bookmark the permalink.